My guess is you already know about multimeters, and if you don’t, the multimeter is the device you use to test your appliances and batteries for faults. As crucial as a multimeter is to every toolbox, it is essential to have an idea, if not a full understanding of the type of multimeter you are purchasing to prevent damaging your appliances or your vehicles while you apply this device on them. Let us have a review on the Fieldpiece SC260; we would tell you about our experience with this multimeter so you can see if it can be a good fit for you, we describe the features, the advantages and the disadvantages of this testing tool. Stay with us! We would like to describe the Fieldpiece SC260 compact clamp meter as one of the most comfortable devices for taking electrical measurements of HVACR. Asides from the attractive features of the Fieldpiece SC260 multimeter, one of the reasons that make it rate so highly on review sites is that it comes with the quality ANC4 padded case to prevent it from damages. It also comes with a 9-volt battery for long live expectancies a Velcro strap and ADLS2 Deluxe Lead Set with Gold plated tips and a Removable Sheath. 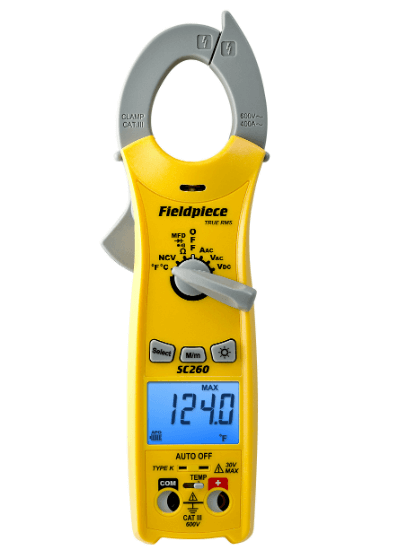 The Fieldpiece SC260 does all the functions of a regular HVACR multimeter and also includes features like the true RMS (Root Mean Square) measurement to measure voltages of alternating current and direct currents and to also ensure accurate testing of frequencies. It also measures temperature that records in both Fahrenheit and Celsius. If you are an HVACR technician and or you have plans towards threading that line for a career, with all the build-up of the Fieldpiece SC260 multimeter, this device is perfect for you. Most of the electrical faults at home are HVACR related, so the Fieldpiece SC260 is also an excellent choice for every DIY enthusiast. It would be an excellent choice be the homeowner that can solve his electrical problems, and not have to invest in professional technicians. So get yourself a Fieldpiece SC260 that can save you a lot of money and stress. Now that you have gotten a brief description of the Fieldpiece SC260, you would be anticipating for some knowledge on the features. 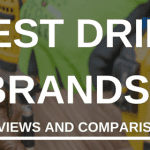 We have a summary of what we like and what we don’t like about this multimeter that would give you an insight into the build-up. Although there are not a lot of features on the Fieldpiece SC260 multimeter, it is a simple and easy to use multimeter, but we would still like you to know that this device has some advantages you might find interesting. The first feature of this multimeter that would capture your attention is the compact design of this tool. The Fieldpiece SC260 spares you from moving around a complicated oversized multimeter when you can do the required task with the smaller compact device. If you are a DIY homeowner or a professional technician, you would agree with us that even when we need to make repairs, large heavy tools are just discouraging. Apart from the compact design of this device, the Fieldpiece SC260 is not overly expensive. So when you consider buying a multimeter for your occasional use, it is good you go for the Fieldpiece SC260 model. When you are an occasional user of multimeters, apart from measuring AC/DC voltages, non-contact voltage, continuity, diode test, it also features the auto select mode. You might think the auto select mode is a typical feature of all multimeters until you realise that not all multimeters have this function. If you are not used to multimeters with this feature, the auto select mode will help you save some time. It is a more straightforward process, all you have to do set the dial and connect your leads, then the clamp meter would automatically set the proper measurement, well, it depends on what it detects. With multimeters that can read temperature, we may sometimes to move from places of high temperatures to areas of low temperature while we perform tests, or check for the temperatures. For instance, while moving from a cold freezer to a hot rooftop with your multimeter, it is difficult for it to give accurate readings due to the temperature change, but the Fieldpiece SC260 is equipped with high-temperature resistance that would assure you of its accuracy. Another advantage that should be mentioned is the true root mean square measurement the Fieldpiece SC260 offers that would assure you accuracy when you test variable frequencies. It also measures temperature in both Fahrenheit and Celsius. With the Fieldpiece SC260, you can be rest assured and unbothered by the brightness of your work location because this multimeter model offers a LED backlight that would enable you to record accurate readings after your test regardless of the poorly lit place or the time of day. As much as there are a lot of things to love about this easy-to-use device, there are also some few reports we have noticed from the users that we didn’t like about the Fieldpiece SC260. Apart from not having all the features of some other HVACR multimeters, some long-time users have reported that the Fieldpiece SC260 is not durable enough for any tedious use because they break when they are overused. Download Fieldpiece SC260 HVACR Multimeter User Manual – Here! Related posts about Fieldpiece SC260 HVACR Multimeter in Forums – Here! An extra advantage is a sturdy swivel magnetic hanger that the Fieldpiece SC260 features which enable you to take some hands-free measurement. The advantages of this device are a lot more compared to the disadvantages, so if your need is for an easy to use tools for testing HVACR measurements, then the Fieldpiece SC260 is right for you. Although the device might not be recommended for a technician who has to use it for his daily jobs, it is still a trustworthy multimeter for your occasional use. Despite the inexpensive price of this electrical tool, this Fieldpiece model is the quality device you should consider purchasing.